The PGEP program is supported by Pacific Women to help national governments and civil society to develop specific strategies for increasing capacity to mainstream gender. 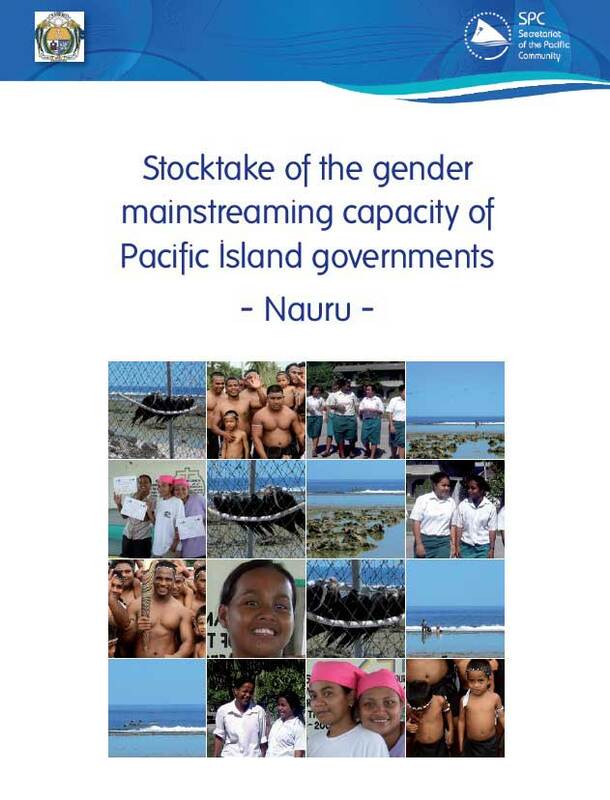 In 2015, the program assisted with a stocktake of the Nauru government’s gender mainstreaming capacity. SPC undertook the stocktake and produced a report that identifies areas and strategies for improvement. The exercise found that work on gender mainstreaming was not well understood in Nauru and that there are weaknesses and gaps in accountability for gender equality across the whole of government. Gender mainstreaming is the concept of bringing the goal of gender equality into the mainstream of society, rather than it being dealt with as a separate, segregated issue. The report provided recommendations on how improving gender mainstreaming in Nauru may be approached. A key suggested strategy is working with the Minister of Home Affairs to provide presentations on gender equality and development effectiveness to parliamentarians and senior government officials. The report also recommended supporting legislative review and reform in relation to international conventions and local legislation as well as developing the technical capacity in front line service providers (such as teachers and health workers).